First off, I would like to wish you all a very Happy New Year! I hope this new year brings you and your loved ones abundant joy and good health. Today being the first Guru Rinpoche Day message of the year 2012, I would like to share with you a teaching given by Nyoshul Khen Rinpoche many moons ago in Bhutan, perhaps the most memorable time of my life. Rinpoche besides being my root guru was also like a father figure to me. I am where I am spiritually today only because of the kindness of my gurus. One day in his audience, when he was talking about the Great Perfection, he gave me a piece of advice spreading out his five fingers in front of me and said to think of these as the five different motivations. He drew a line along his little finger and pointing to the lower half said, “One motivation we have is fear and the wish to be free from that fear in this life. For example, some people are sick or are experiencing some particular hardship and because of that they start practicing. That kind of intention is not very pure.” Pointing to the upper half of his little finger he said, “This is the desire to gain excellent qualities in this life. For instance, wanting to have good health, long life and so forth. Both of these first two are samsaric motivations” he said. The second finger Rinpoche mentioned is neither positive nor negative, but of a neutral intention. The middle finger he said is the motivation of those with inferior faculties, thinking, “I fear falling into the lower realms and instead want to be liberated from the lower realms and because of this reason I want to practice observing karma.” The next finger he said is the motivation of those with mediocre faculties, those at the Arhat level, who fear being in samsara. 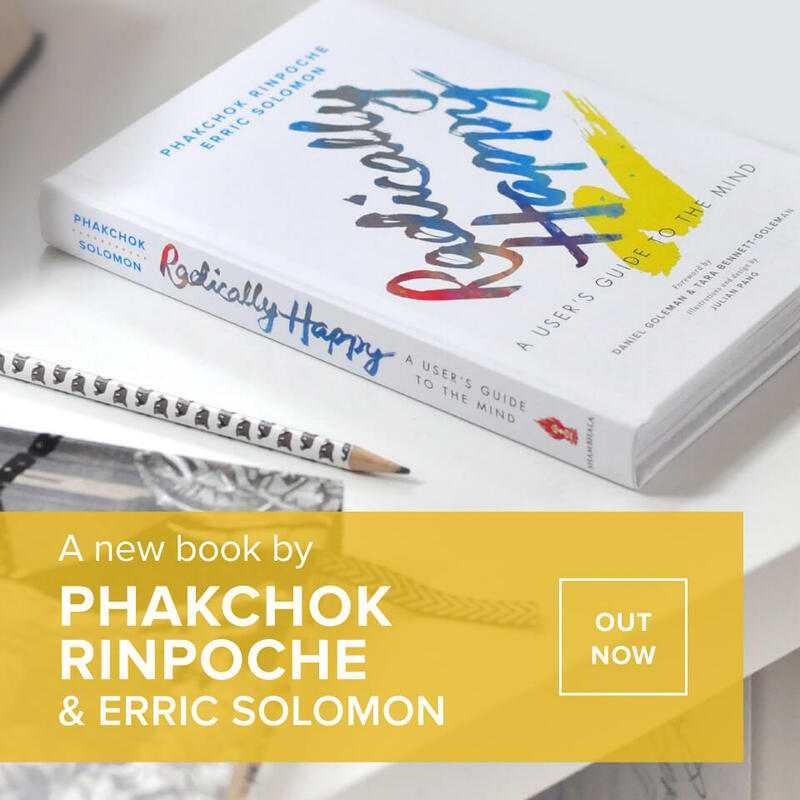 Finally pointing to the thumb he said, “This is the motivation of those with superior faculties, the superior motivation of pure bodhicitta.” Pure compassion and wisdom – when these two are combined together then you have pure bodhicitta. When you lack one of these, it is not pure bodhihitta. So Rinpoche said, “Out of these five, which motivation should we have? This one,” he said, with a big thumbs up. Sending you all much love and affection on this Guru Rinpoche Day.